Welcome to Day #24 of Chocolate and Peru Theme Week. 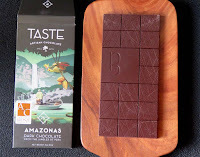 Today's 75% Amazonas Dark Chocolate bar came from Taste Artisan Chocolate (Provo, UT). 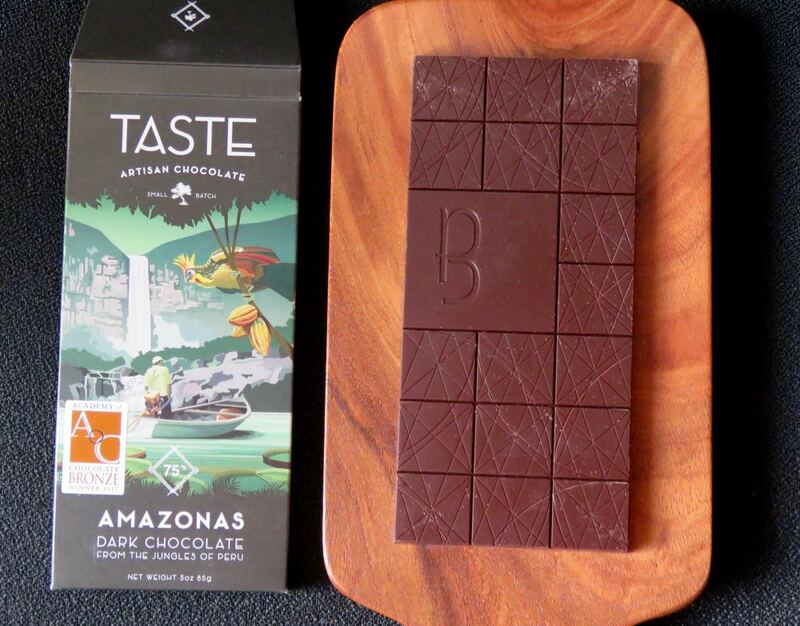 The chocolate maker's description of this bar read, in part, as follows: "Awajun natives harvest...fruit from deep in the Peruvian Jungles using wooden tools to avoid damage to the fresh beans. Rich flavors of blackberry and fresh cream shine in this bar."